If you were enjoying a day at the beach in the last four Saturdays, you might have come across The Plastic Police Squad, an initiative of the QLZH Foundation. 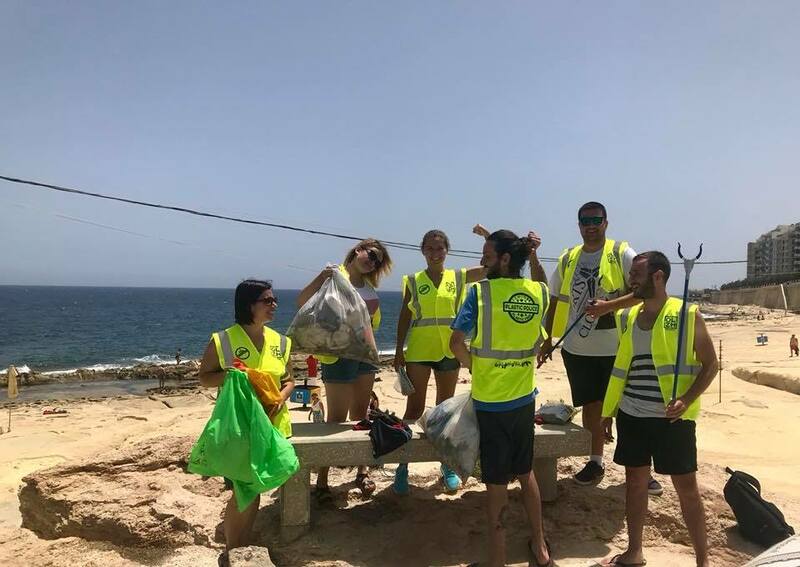 Kitted with high visibility bibs, gloves and garbage pickers, the squad visited the Exiles, Ghadira, Fra Ben, and Armier beaches with the main intention to educate people about the harmful effects single use plastic has on the environment. Apart from raising awareness, the Plastic Police Squad also provided alternatives to disposable plastic items such as paper straws as well as collected any carelessly disposed waste. Grouped in teams of six, members of the QLZH Foundation and their friends, spent time speaking to people on the beach about how easy it is to avoid single use plastic by using substitutes that do not harm the environment. Along the way, the Police Squad also stopped at nearby bars and restaurants to encourage them to make the switch. This is not the first initiative organized by the Foundation to reduce the use of single use plastic. Last month, the QLZH Group, founder of the QLZH Foundation, went single use plastic free across all of its branch network. “Nurturing the environment has always been one of the strong pillars upon which the QLZH Group and QLZH Foundation were built on”, says Steve Mercieca, Founder of the Group and Foundation. He continues, “We encourage our team members to be mindful of the negative effects our daily habits can have on the environment. Seeing the positive response and the enthusiasm of our people towards these initiatives gave us the confidence that people do care about this cause and therefore we wanted to reach out to the general public as well”. Together with the Plastic Police Squad, the QLZH Foundation also has a team of qualified divers that have organized two Ocean Bed Clean Ups in June and July, collecting more than 300 kilos of waste dumped in the sea. Both activities will be carried on throughout the summer months.